How big is the baby this week: Baby is the size of a grapefruit. Weight Gain: Finally weighed myself this morning- up a total of 7 lbs. Symptoms: Heartburn, growing belly, lots of kicks and rolls. Cravings: Milk, bread, eggs, steak. Sleep: E has been sleeping better lately, which means mama has too! I am loving: Watching my belly move, working on ideas for the nursery. I miss: raw sushi (tuna in particular), alcoholic beverages. I am looking forward to: Ordering some fabric for his nursery. I'm spazzing about: How much work we need to do to get his nursery done and E's big girl room done. Best thing about this week: E went up for a weekend with Blake's parents, giving us some much needed down time. Milestones: Isn't 24 weeks viability? 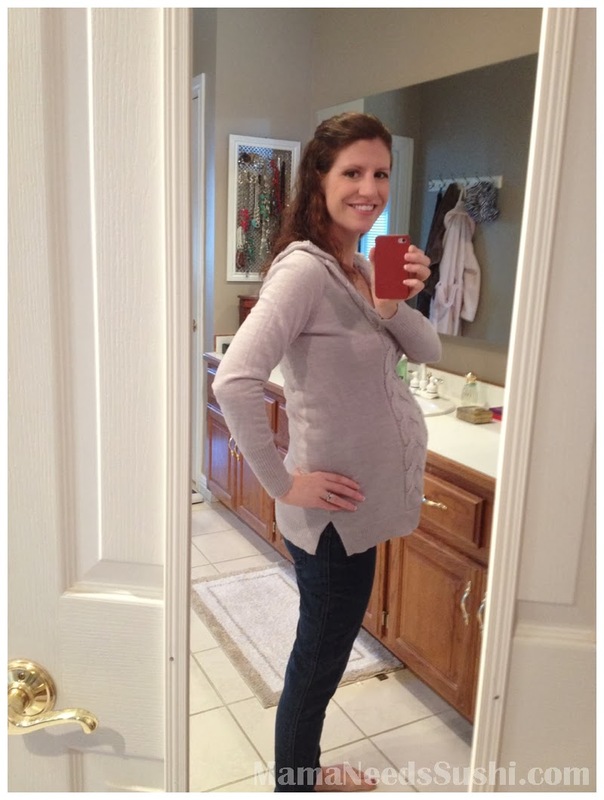 Movement: Definitely the best part of pregnancy!!! And, as promised, bump pics! The belly popped quite quickly this time around! Please pardon the horrible hair, and quality of the pictures haha- I just wasn't as in to documenting what I felt was a giant bump for so early in the pregnancy. Gah, love the belly pics!!! Can't believe you have gained so little ( I mean, I can believe it but I'm jealous)--you look amazing! !